Choosing an eye care provider is an important health care decision. After all, you will be trusting your eye doctor to safeguard your precious sense of sight and help you maintain a lifetime of good vision. The first step in your decision is to understand that there are two types of eye doctors: optometrists and ophthalmologists. And there is a third "O" among eye care providers: the optician. Both optometrists and ophthalmologists examine eyes and prescribe eyeglasses and contact lenses. An ophthalmologist is a medical doctor (MD) or a doctor of osteopathic medicine (DO) who specializes in eye and vision care. Ophthalmologists are trained to perform eye exams, diagnose and treat disease, prescribe medications and perform eye surgery. They also write prescriptions for eyeglasses and contact lenses. An optician is not an eye doctor, but opticians are an important part of your eye care team. Opticians use prescriptions written by an optometrist or an ophthalmologist to fit and sell eyeglasses and other eyewear. In some states, opticians must complete an opticianry training program and be licensed. Other states don't require opticians to obtain formal training or licensure. Some states allow opticians to fit contact lenses, usually after completing a certification program. Most optometrists offer medical treatment for common eye problems (such as dry eyes and eye infections) and certain chronic eye diseases (such as glaucoma). But certain eye disorders require treatment by an ophthalmologist, particularly if surgery or other specialty care is needed. In many cases, care for a specific eye problem may be provided by an optometrist and an ophthalmologist working as a team. This arrangement is called co-management. In co-management, your primary care eye doctor (usually an optometrist) refers you to a specialist (usually an ophthalmologist) for a definitive diagnosis and treatment plan. The ophthalmologist may choose to manage the problem medically, perform eye surgery, or both. After the condition is controlled or surgically treated, the specialist then sends you back to your primary care eye doctor, who continues to monitor and treat your condition or perform post-operative care based on the specialist's recommendations. Typically you can get this information by calling the doctor's office and giving them your insurance information. Many insurance companies also post on their websites a directory of eye doctors who accept their vision plans. Most optometrists and ophthalmologists who provide general eye care for the entire family accept Medicare for older patients. But be aware that while Medicare covers your visits to an eye doctor for medically necessary eye care, it does not cover routine eye exams. If you have Medicare coverage and are just getting a routine eye exam to have your eyes checked and your glasses prescription updated, payment for the exam will be your responsibility unless you also have a private vision insurance policy that covers routine exams. But if you are eligible for Medicare and you have a pre-existing eye problem such as cataracts or macular degeneration, part of your comprehensive eye exam may be covered. Ask your eye doctor for details. Also, when calling an eye doctor's office, ask how they handle insurance claims. Will you have to pay for the exam and then submit the claim to your insurance company yourself, or will the eye doctor's office bill your insurance company for the exam so no payment is required of you? If you don't have an insurance policy that covers eye care, find out the eye doctor's fee for a routine exam and for any special testing that may be required. While you don't want to choose an eye doctor based on cost alone, it is a factor to consider. When inquiring about the services an eye doctor provides, ask what happens if a problem is detected that requires treatment beyond the doctor's scope of care. Which medical and surgical specialists do they refer to, and where are they located? A doctor's professional affiliations and memberships can help to indicate expertise in certain areas of practice; for example, ophthalmologists may belong to the American Society of Retinal Specialists or the American Society of Cataract and Refractive Surgeons . Some organizations have rigorous standards for membership or Fellowship, such as the American Academy of Optometry . 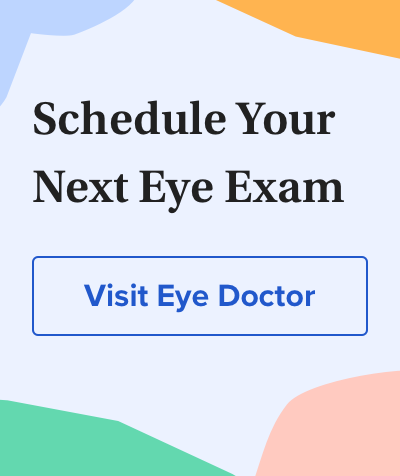 Finally, a major factor you should consider when choosing an eye doctor is the recommendation of that doctor by friends, family members or coworkers. Word-of-mouth referrals often are the best way to find a friendly, competent and caring eye doctor and avoid unpleasant surprises when you go to have your eyes examined. FIND A DOCTOR: Use our new locator to find an eye doctor near you.